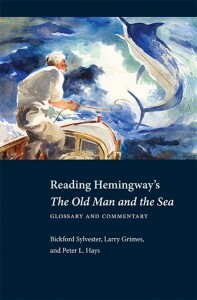 The authors fish below the surface of The Old Man and the Sea to determine what is contained in Hemingway’s allusions. They trace the development of symbols, amplify literary echoes, and contextualize the work’s mythological, religious (including Afro-Cuban religion), and philosophical references. They examine the hybridity of genre in The Old Man and the Sea and engage multiple literary and critical methodologies. Although the reputation of The Old Man and the Sea has waxed and waned, it has continued to be read by successive generations of students and literary scholars. This book is written for both audiences. Young readers will discover that surface details have depth and resonance; senior scholars will be challenged to apply new approaches. AuthorsBickford Sylvester (1925–2014) was professor of English at the University of British Columbia. He served on the board of the Hemingway Foundation and the editorial board of The Hemingway Review. Larry Grimes, emeritus professor of English at Bethany College, is the author of The Religious Design of Hemingway’s Early Fiction and coeditor, with Bickford Sylvester, of Hemingway, Cuba and the Cuban Works (Kent State University Press, 2014). He is a founding member of the Hemingway Society and serves on the board of the Hemingway Foundation. Peter L. Hays is professor emeritus of English at the University of California, Davis. A former member of the Hemingway, Fitzgerald, and Wharton Society boards, Hays has published four books on Hemingway, most recently, Fifty Years of Hemingway Criticism.